So I am a little late to this parade. I had heard about it years ago when it came out but I didn’t have the urge or tools to do it. Fast forward 8 years and I finally have a 5qt cast iron casserole to make the famous Jim Lahey No Knead Bread! The thing with bread is that it tends to take a lot of time and work. 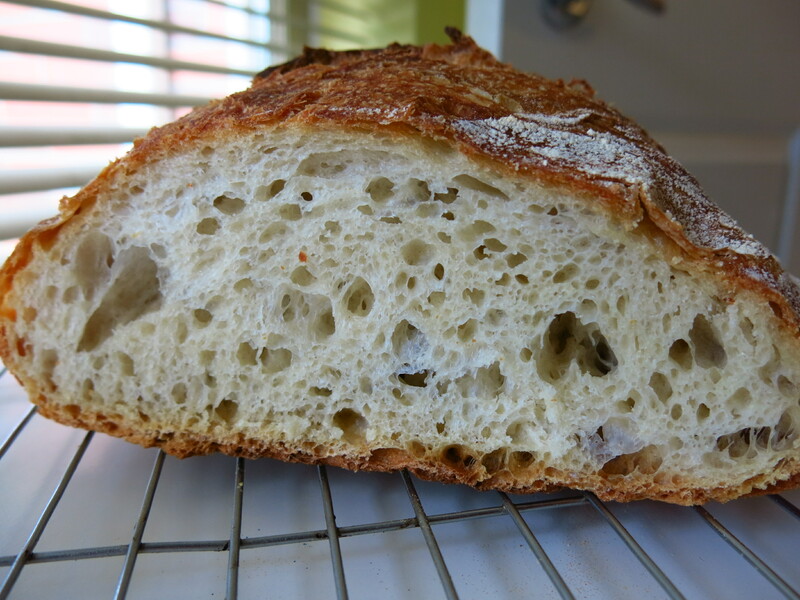 A lot of kneading, watching, rising, proofing, shaping, and baking. Heck, I am exhausted just typing that. But Lahey’s recipe asks you to quickly pull together 4 ingredients and let it sit. For 12 – 18 hours. Yes, you read that right – HOURS. So a quick loaf for dinner, this is not. But it is easy. After the extended fermentation time, it’s shaped, left to rise for another 2 hours and then baked in a covered casserole. By covering the casserole you’re mimicking a steam oven and at an even higher temperature (enclosed space). 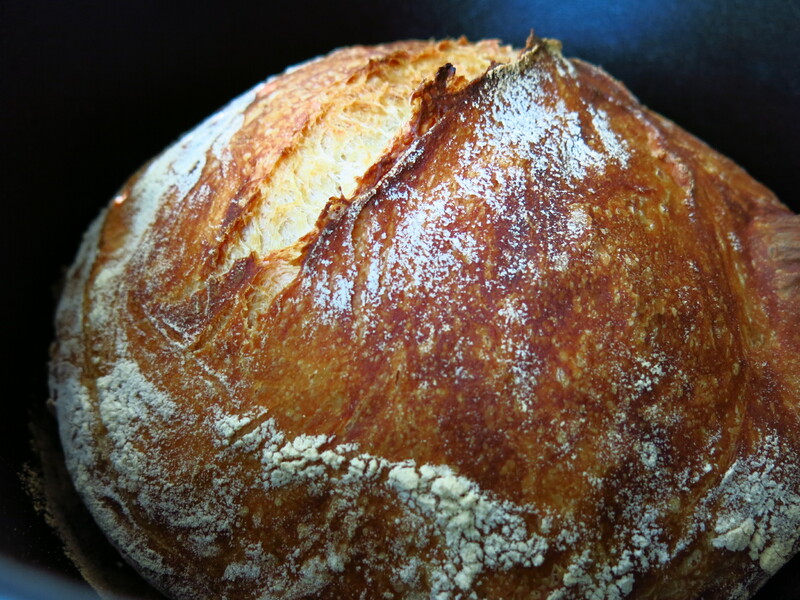 The results is a beautifully golden and crackly bread! My rough timeline: prepped dough on a Friday at 3pm. Finished fermenting at 9am. Shaped and second rise until 11am. (started preheating the oven & casserole at 10am) Into the oven at 11am, baked for about 50minutes (lid on and off) and voila! Fresh bread for lunch sandwiches!